Summary: Four simultaneous plane crashes. Three child survivors. A religious fanatic who insists the three are harbingers of the apocalypse. What if he’s right? Review: I had been looking forward to reading this book for so very long by the time I finally found a copy at the library, and let me say, I’m glad I did. 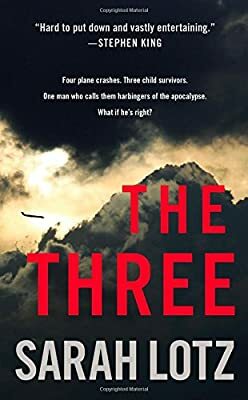 The Three is a very engaging book, a heck of a page-turner, with a mystery that really keeps you going, wanting to unveil the next piece of the puzzle so that the picture becomes complete, little by little. After 4 disastrous airplane crashes on the same day, with only 3 child survivors, the world starts to pay attention. Doubly so after odd things begin to happen around those children. Strange behaviours, conspiracy theories, whispers about the end of days, the whole shebang. Part of the mystery of this novel is sorting out truth from fiction, to figure out what’s really going on, and rather than present this story in a rather standard format, Lotz instead opts to tell it in a series of interviews and articles, chat logs and book excerpts, so that every view we get is tainted by bias and unreliability and subjectivity. The reader has to sort through what they’re given and see which interpretations make the most sense, much as we have to do whenever anything big hits the news. We’re presented with dozens of different viewpoints, some contradictory, some inflammatory, some with a kernel of truth inside, and we have to figure out what fits from the pieces we’re given. 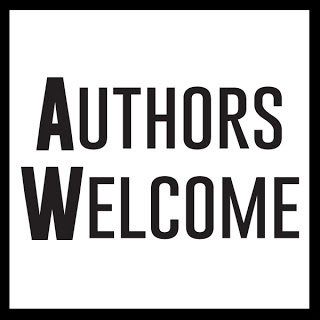 The format also contributes to the way the book engages with the reader, pushes them just a little further onward. Most of the chapters aren’t very long, so it’s very easy to fall into the “just one more chapter” trap. The location shifts often, with the story spanning the globe as not all of the planes crashed in just one country, nor do all the surviving children live remotely near each other. If you’re not too keen on one particular story arc, not to worry, because Lotz switches you back to another one regularly, keeping things moving and going round. On one hand, this manner of storytelling did compel me to read more, with short snippets and frequent plot advancement. On the other hand, when taken as a whole, the plot does move somewhat slowly regardless, with progress happening in one place and then switching to another so that progress can happen there, and so on. There’s something new every time, from every viewpoint, but I will admit there are times that this sort of circular progression made things feel a bit slow, even if I still enjoyed watching the story unfold. Lotz also does a fantastic job of commenting on the media circus through The Three, if I may be so blunt. The sensationalism behind the miraculous survival of the three children, the theories that spring up around them, the way people see bad within good and good within bad and spin those things out of proportion… I can’t say it was tastefully done, since in some ways, rampant consumption of any and all info can be rather tasteless, but it was well done, never the less. We get a feeling almost of rubbernecking over Paul’s downward mental spiral and paranoia around Jess, intruding on a private tragedy. We experience Ryu’s anxiety through his chat messages with Chiyoko, whose general disgust with life we also get a strong sense of. The book itself even makes mention of this, as it’s pitched as being a book written by the fictional Elspeth, documenting and compiling what information she can about The Three. There are passages that talk about her own bias regarding the events, sensationalizing the stories and prying into aspects of people’s lives that she has no business with. I will say that the book dips into some cultural awkwardness now and again, however, which is a mark against it. It’s hard not to wince a little bit at the character of Ryu, a Japanese shut-in, or the doomsday cult that spring up around an American pastor. That isn’t to say that people like those characters don’t exist in the real world, but enough media attention has been made that sometimes it feels like those stereotypes are meant to be representative of an entire culture’s failings. On the other hand, that may have been part of the point. That doomsday cult, for instance, is of the opinion that the Three are signs of the end times, that they’re three of the four horsemen, and maybe the very fact that respective societies have failed and produced certain types of people is a sign not of the flaws of cultures or people in themselves, but of the flaw of everything. Everything has gone to pot and needs to be wiped out and started over, the cycle beginning anew. That interpretation doesn’t make things much better, since to be honest, there are so many ways of avoiding the use of those stereotypes to begin with, but it does improve it a little, at least in my mind. The Three is the kind of novel to get you thinking, and specifically to get you thinking in circles, spiraling back and coming at things again and again as you try to fit together the whole narrative in a cohesive way. It’s a wonderful creative endeavour, and it had me pausing often to consider what was happening, and wondering how I might react in similar circumstances. Even if you never get particularly invested in or attached to many of the characters, they’re still rather interesting characters to follow, and they play their parts in the story well, showing the human element in an international tragedy/mystery. Even though it leaves itself open for a sequel (and indeed there is a sequel, though I have yet to read it), it’s still a complete story in itself, and could serve as a standalone novel; even if there are still unanswered questions at the end, they still come with a sense of story’s closure. If you’re a fan of slow-burn horror or supernatural thrillers, then you’d do well to give Lotz’s The Three a read.